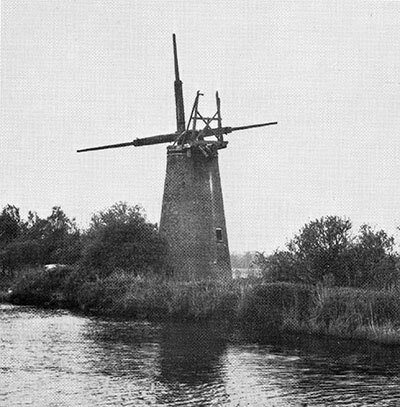 Irstead Turf Fen drainage mill was built by Yarmouth millwright, William Rust c.1875 to drain Horning marshes into the River Ant and is thus similar in design to High's_mill at Potter Heigham. 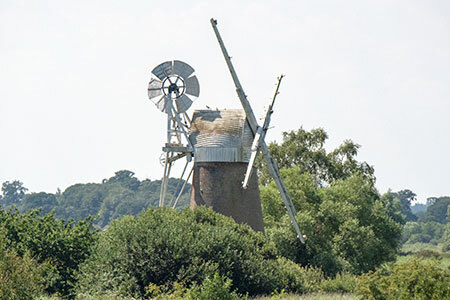 Although the tower only had two floors, it was 31' high with a Norfolk style boat shaped cap, four double shuttered sails of seven bays and a six bladed fantail. 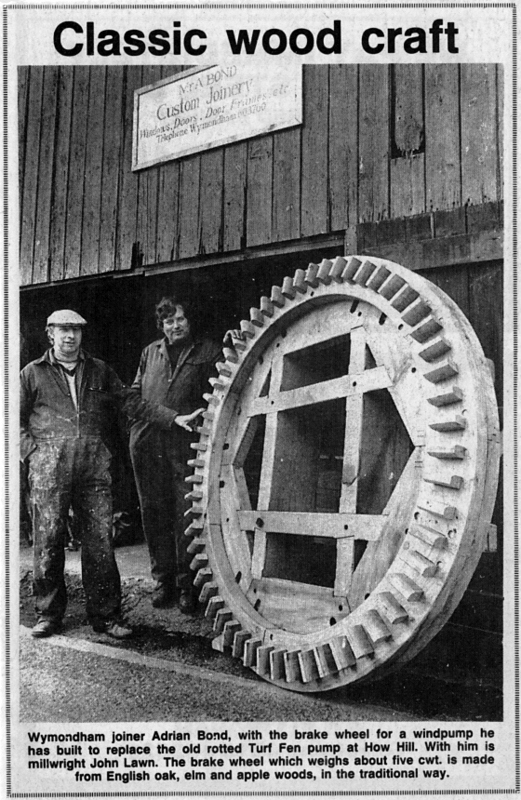 This mill, very unusually, has two scoop wheels that could be worked independantly, with a choice of high or low gears. 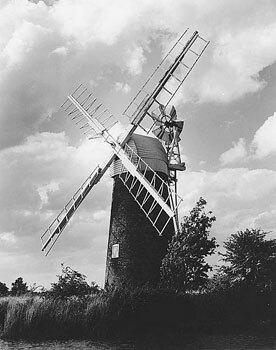 Stalham Hunsett is the other known example. 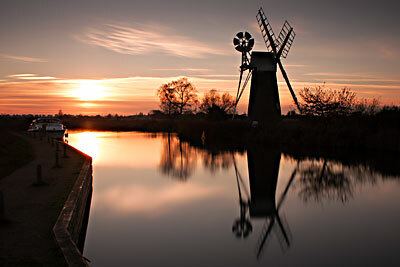 The mill ceased working around the 1920s when cattle no longer grazed the marshes. 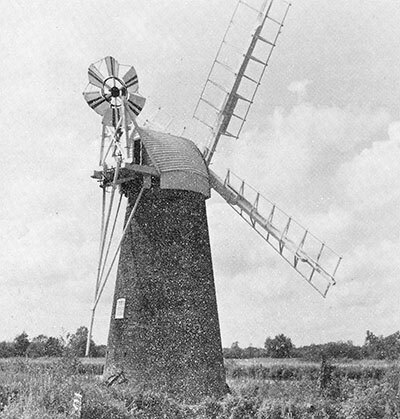 This mill is on the river Ant in Irstead. 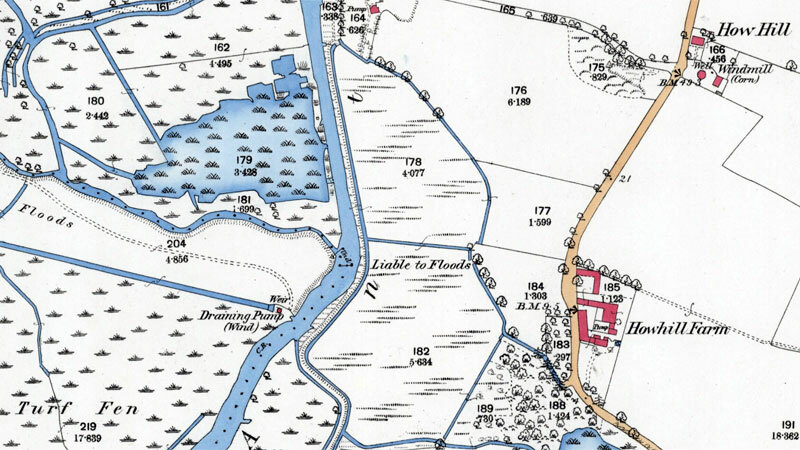 The water levels around the mill are now kept very high and there is no footpath or land access to the mill. 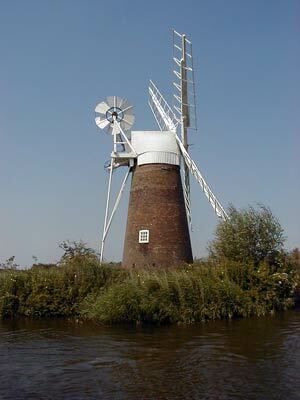 The mill can be seen by boat from the river Ant or from How Hill on the Ludham side of the river.